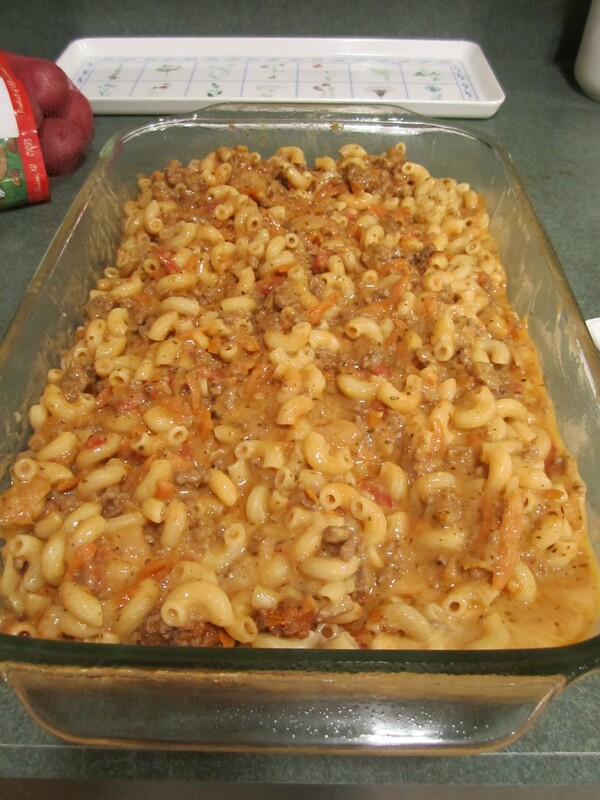 This is a great family recipe. One we have liked for a long time, especially my son. 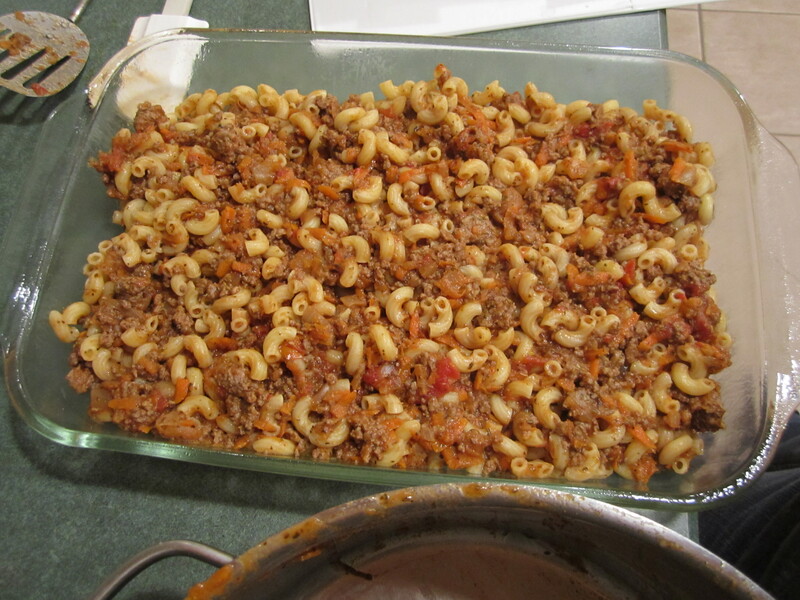 It’s simple and satisfying: a must have comfort food for your repertoire. I have made it so many times that I have slimmed down the pan usage amount from 3 to 1, always a goal of mine. I do not like nutmeg, which is in the original recipe (check it out if this is a spice that you love) and have made it more ‘Italian’ in flavor by adding dried oregano and basil. I also do not follow the low-fat nor the pre-cut veggie suggestions but certainly do if this is important to you. Prep a 9 x 13 inch glass baking dish by spraying with canola oil. 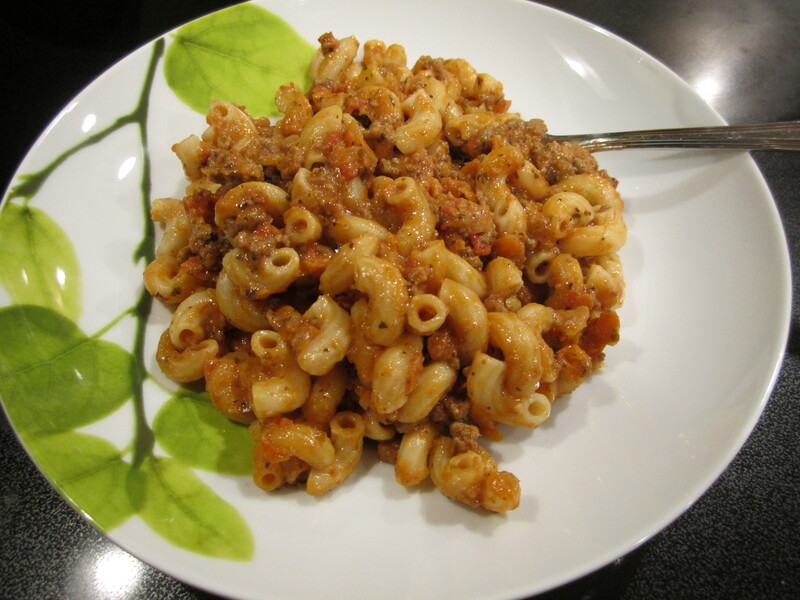 In a large saucepan, cook pasta according to directions on package, omitting salt. When pasta is done drain and set aside in colander. Dry out saucepan and put back on burner over medium heat. Add olive oil and move saucepan around to coat bottom. 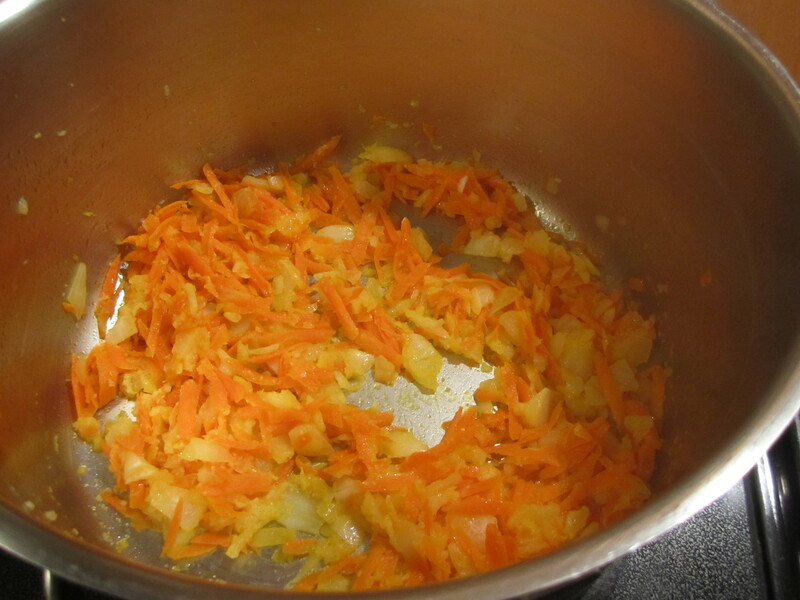 Add onions and carrots and saute for 4 minutes. Add garlic and saute for 1 minute. 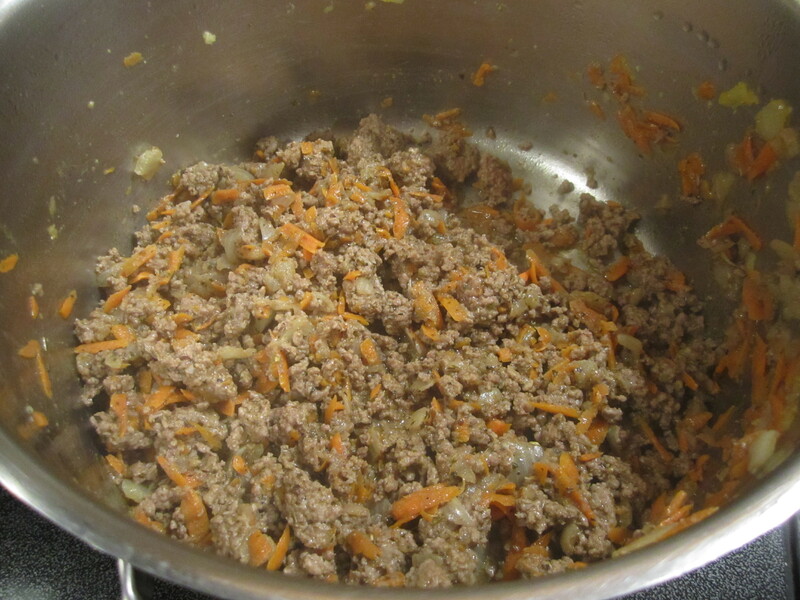 Add ground beef and cook for 5-6 minutes, until brown, stirring to crumble meat. Take sauce pan off heat and add tomato sauce, salt, oregano and basil. Stir together. 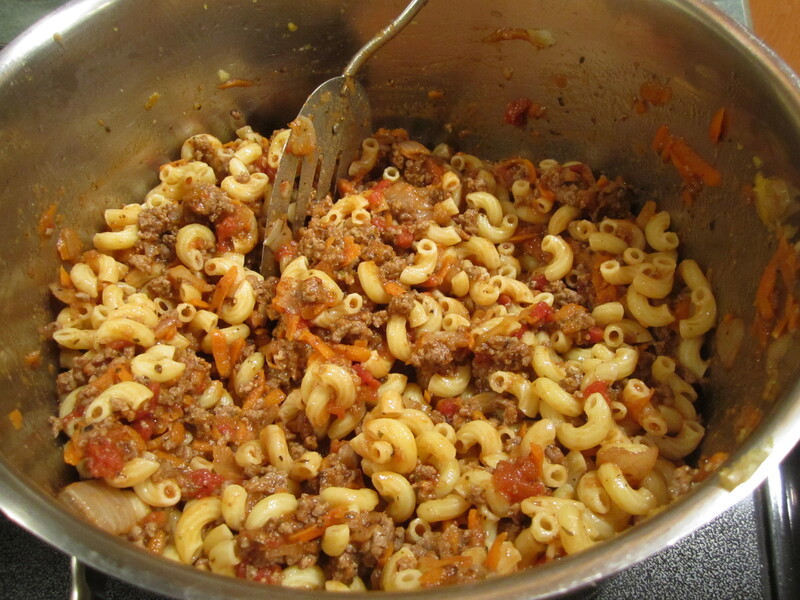 Add pasta back into pan and stir everything together thoroughly. Place mixture into prepared glass baking dish, using a rubber spatula to get everything out (a few bits are fine, it’s all going to go together anyway). Put saucepan back on burner at medium. Add milk and flour. 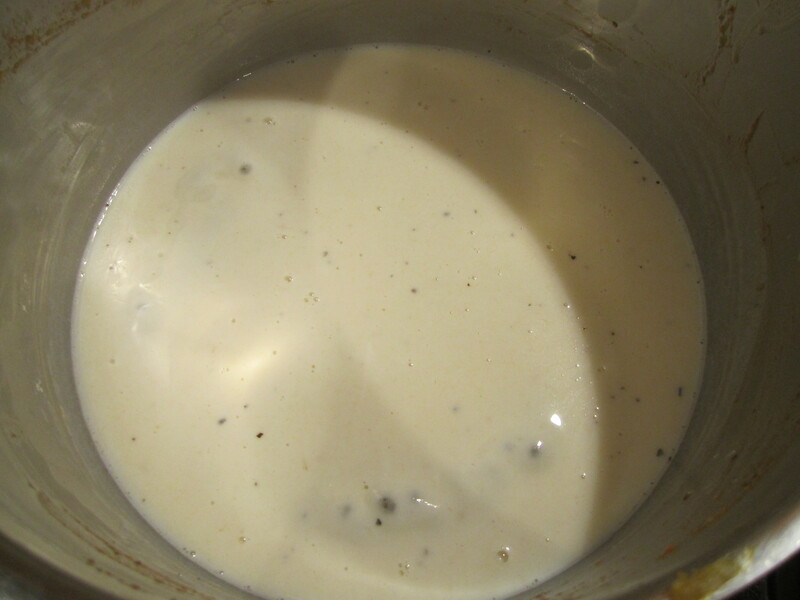 Stir constantly until thickened, about 1 maybe 2 minutes. 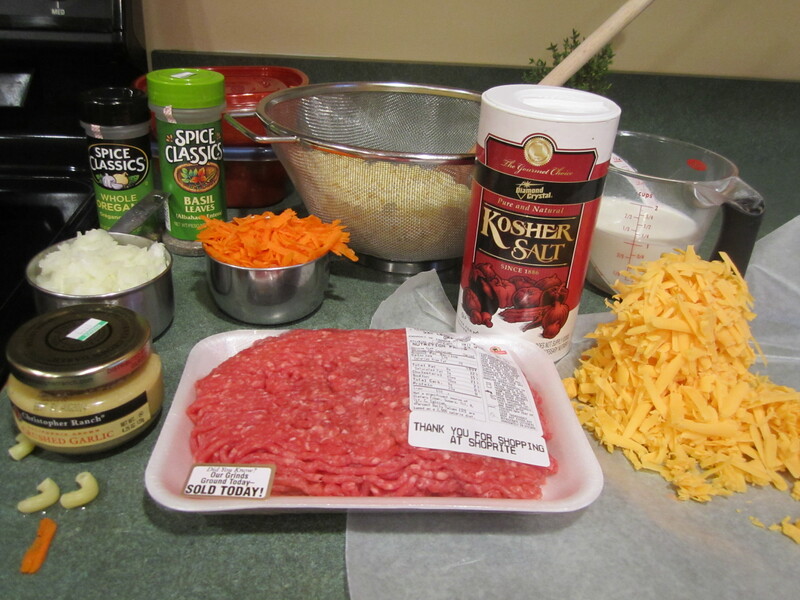 Take off burner and add cheese and stir with whisk until smooth and cheese is melted. You may have to put it on the medium burner to accomplish this but be very careful. Only do it for a minute or less and stir constantly. 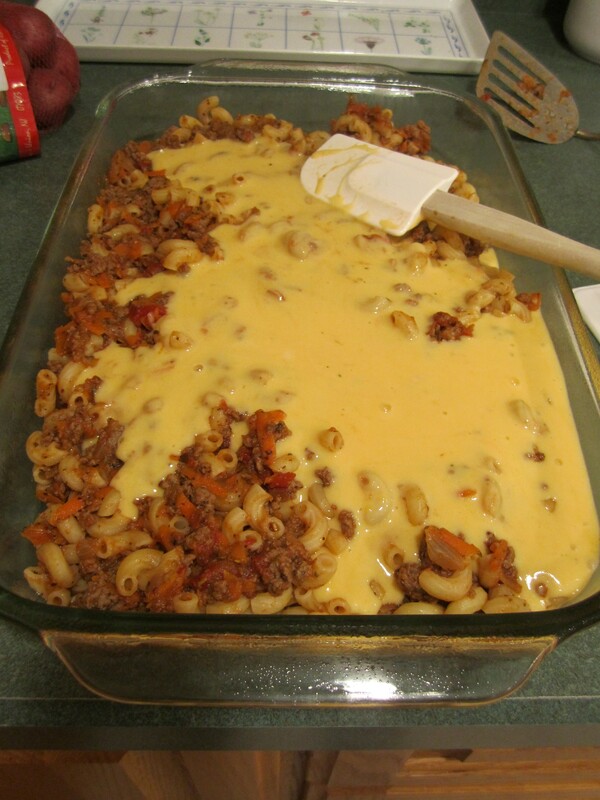 Pour cheese over beef and macaroni mixture. 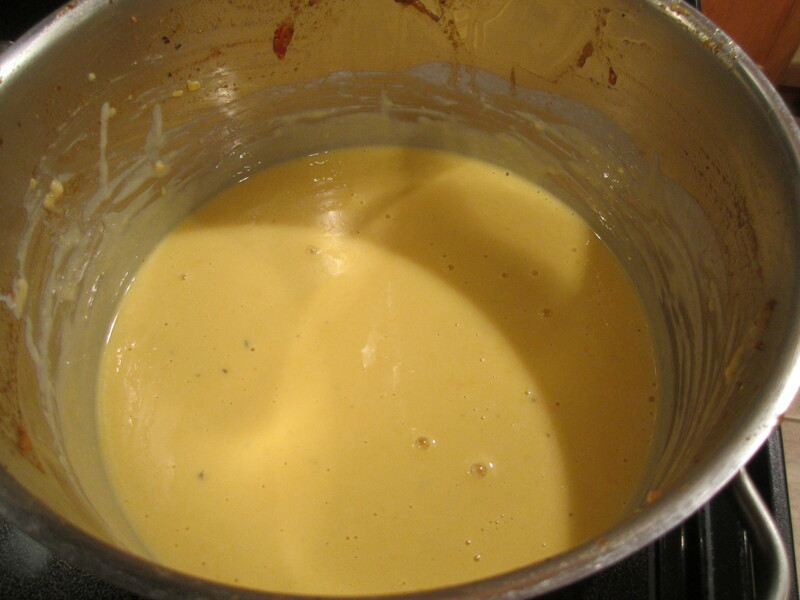 Using the rubber spatula and another spoon or metal spatula in my case, stir ingredients thoroughly until combined. Bake for 20 minutes (no more). Let rest for 5 minutes before serving. I like to serve mine with extra tomato sauce, some crusty italian bread and a nice chopped salad of lettuce, spinach, carrots, celery, cucumber and tomato.